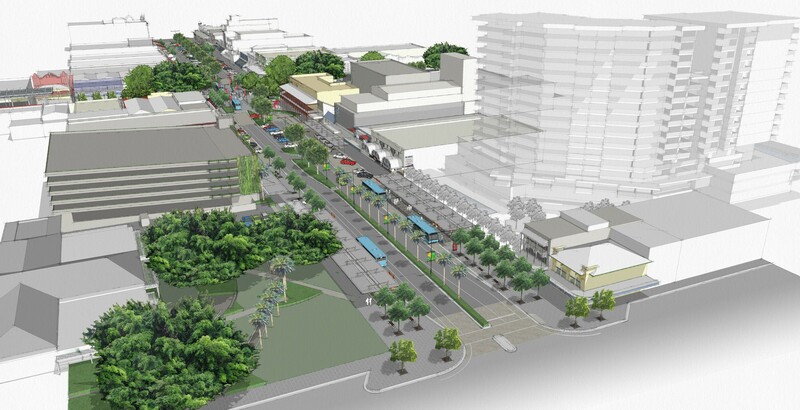 Bark’s design vision for the Cairns CBD Revitalisation project – bus interchanges and structures project was one of ‘Tropical Contemporary’ – to evoke Cairns’ sense of place through the design concept of layering, incorporating the reef and rainforest. 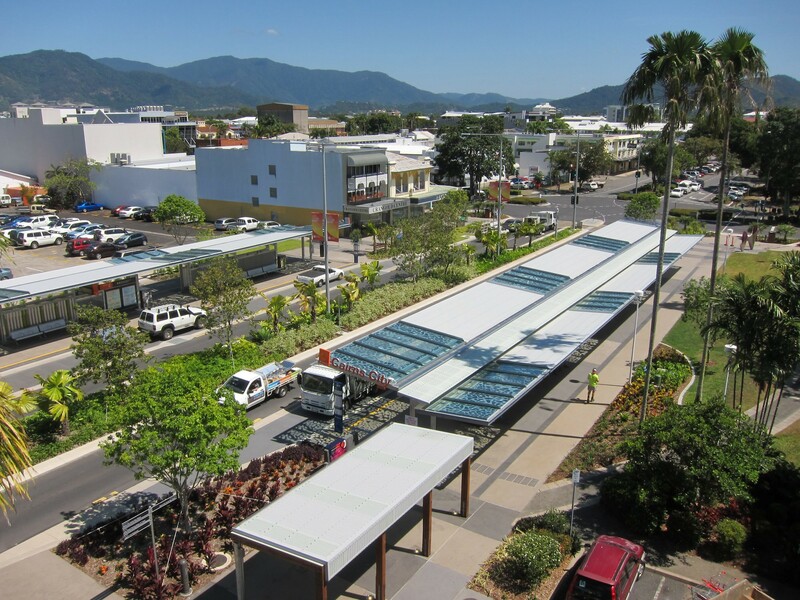 Having previously designed the award winning Noosa Junction Station, Bark were commissioned by the Cairns Regional Council to design and document the Cairns CBD Lake Street Connection project, integrating a bus terminal into the landscape using a shade structure, an arbour and tropical planting, whilst touching on the city’s heritage. 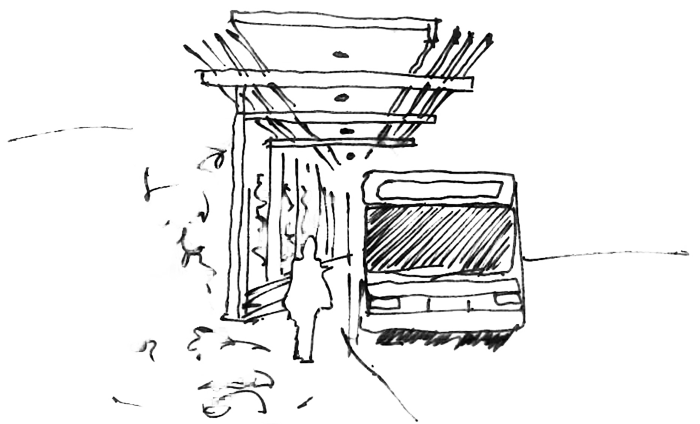 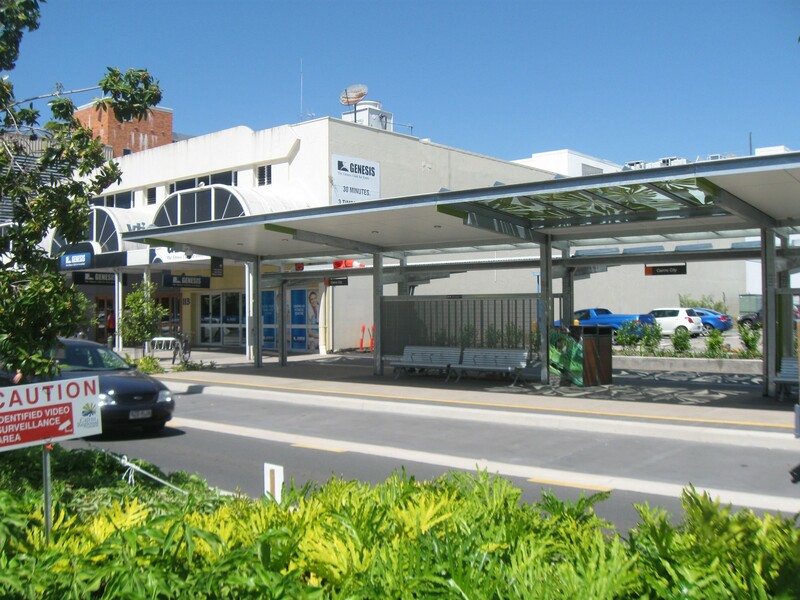 The northbound and southbound Bus Stations are important transport nodes and act as catalysts for dynamic, site-responsive public infrastructure in the city. 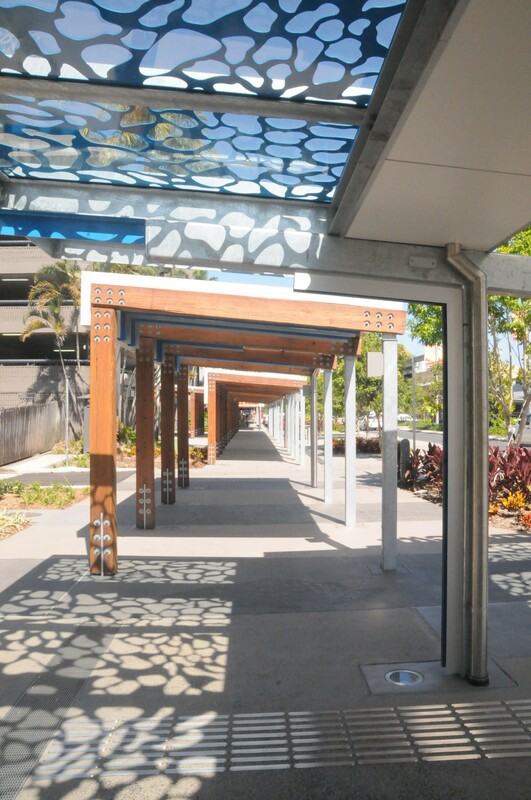 These structures are inextricably linked to the qualities of the tropical landscape with its shadows and colours rooted in a tropical context, specifically the Licuala palm and Great Barrier Reef coral. 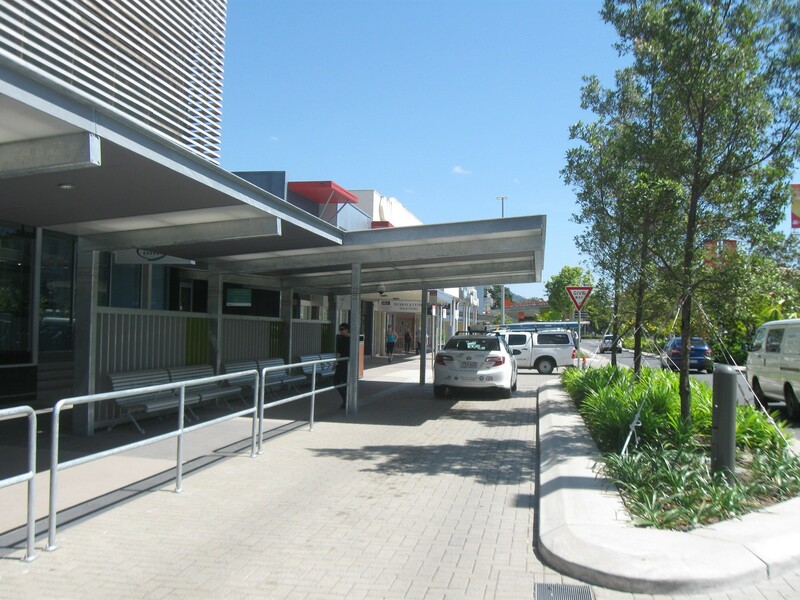 As a result of our work in this project, we were further engaged to design other adjoining public amenities in the space such as the taxi rank and a covered walkway structure, providing protection from the weather for bus stations to the CBD centre. 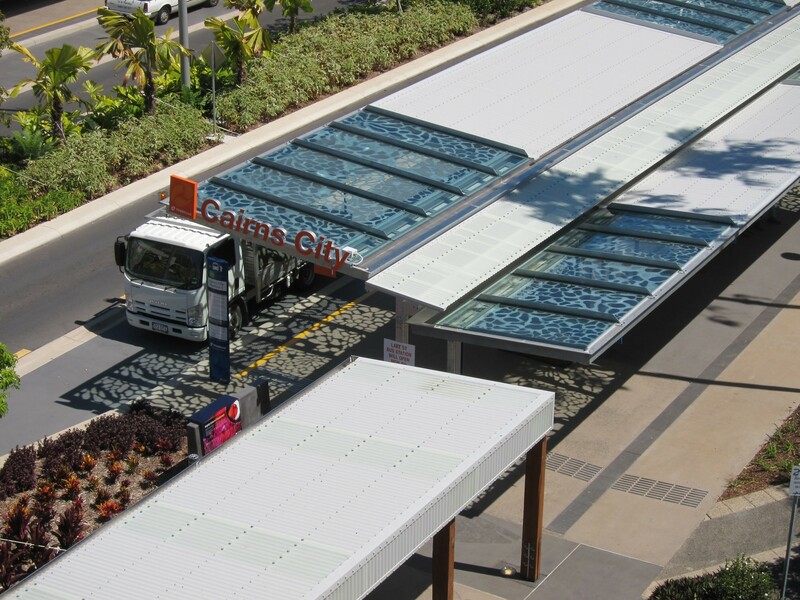 We are incredibly proud as the design has been adopted by Translink for future ‘Premium Bus Stops’ in far North Queensland.